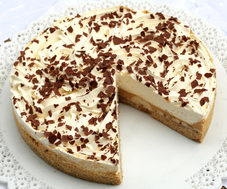 Fresh bananas on a biscuit base, topped with caramel sauce, finished with fresh cream twirls. 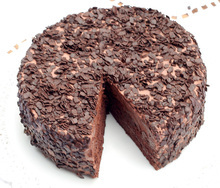 A combination of rich chocolate cake, chocolate mousses, milk chocolate and fudge icing, finished with chocolate cream and crunchy chocolate flakes. A rich moist brownie made with dark chocolate, walnuts and topped with pecan pieces. 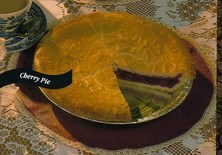 A shortcrust pastry generously filled with a succulent red cherry filling. A traditional apple pie filled with juicy apples and cinnamon in a butter pastry case.